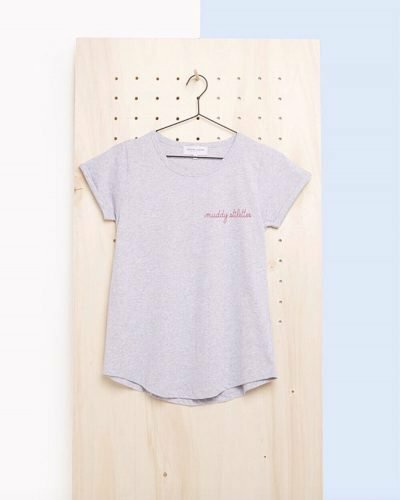 Gather your gals to make professional pieces that will tell their story for years, nay generations to come. Fiona Dowling shows us how. Now this was something special. I normally spend Sunday afternoons at full-tilt, my 3-year-old leading the charge; the concept of stillness, relaxation and adult conversation during weekend, daylight hours is a distant, pre-child memory. But there I was, child-free, sitting with my mum, sister and Fiona Dowling, founder of Jewellery Moves. 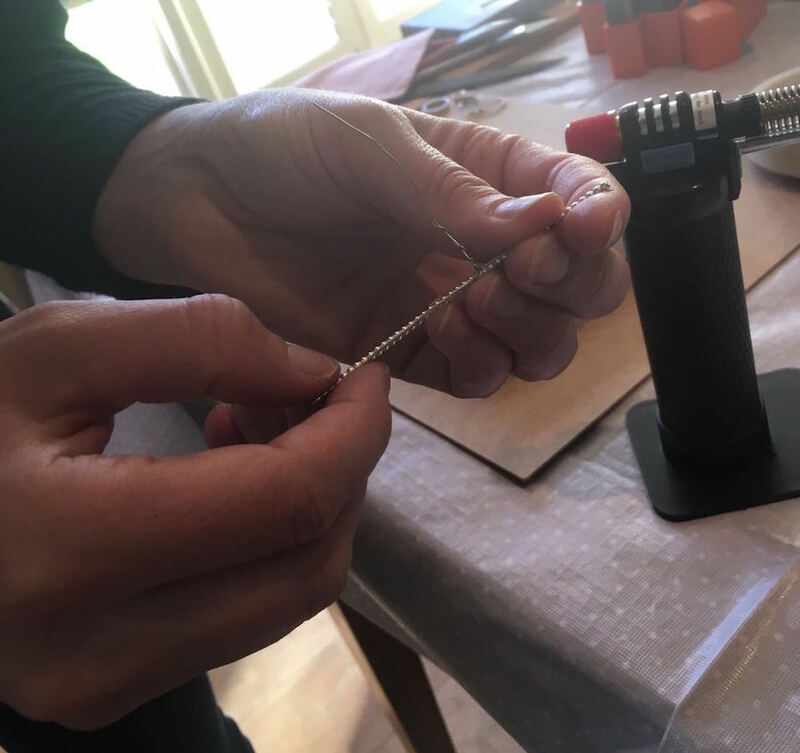 With zen-like calm, she was teaching us how to make proper, grown-up jewellery — you know, soldered, embossed; the kind you actually want to wear in public. 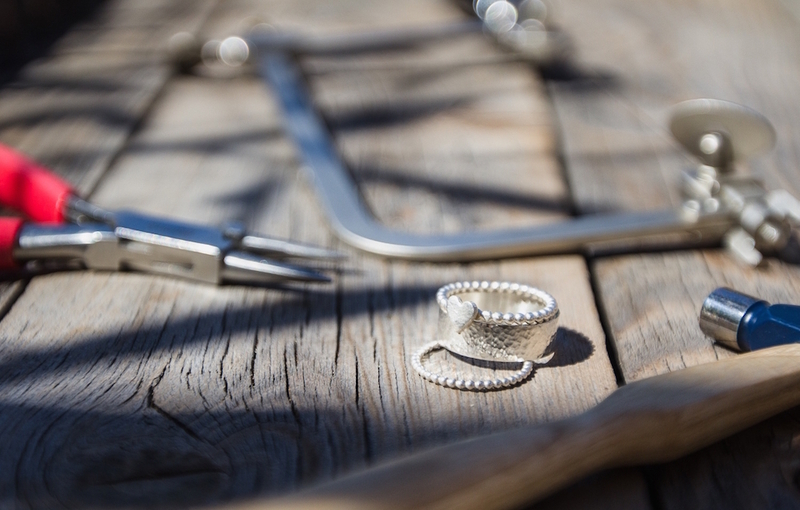 The dark art of jewellery making usually takes place in a hidden workroom, the finished product emerging fully-formed to be displayed in some clinical showroom, but what if you could wear, or give, a piece made by your own fair hands? Something imbued with meaning, and created alongside family and friends. Evie the Border Terrier on the hunt for food as per. Our lives are so terribly busy, and it’s hard to carve out time to sit, be, escape the mundane and chat at length with friends. In fact, a large part of Fiona’s inspiration for Jewellery Moves came from a video found online about West African communities creating beautiful pieces of jewellery on the roadside surrounded by family, friends and children. 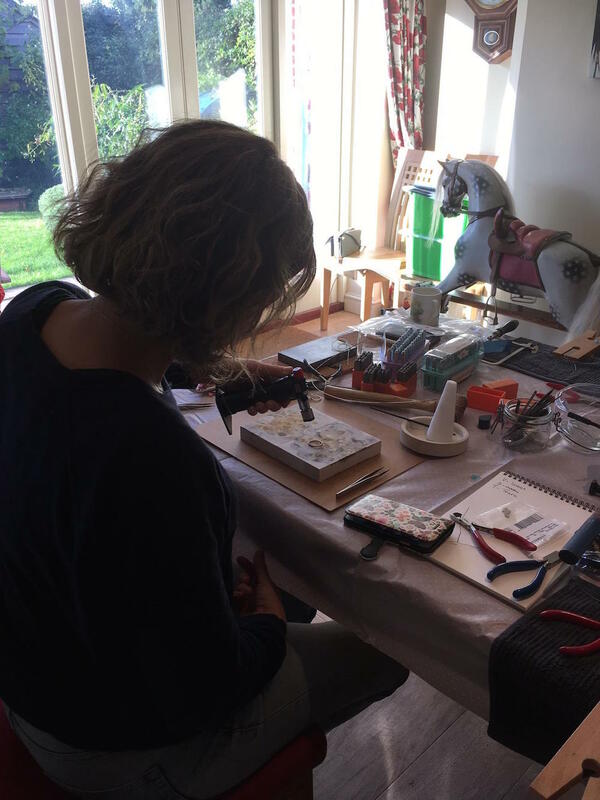 So here I am, literally soldering jewellery at my mum’s kitchen table with Snowy, our family rocking horse in the background and various dogs/husbands wandering around our feet. The Muddy Mum and Sister drinking fizz (reprobates both of them) I, being the sober one in the family, taking things much more seriously with a cup of tea. As you can see, it’s a professional set-up. 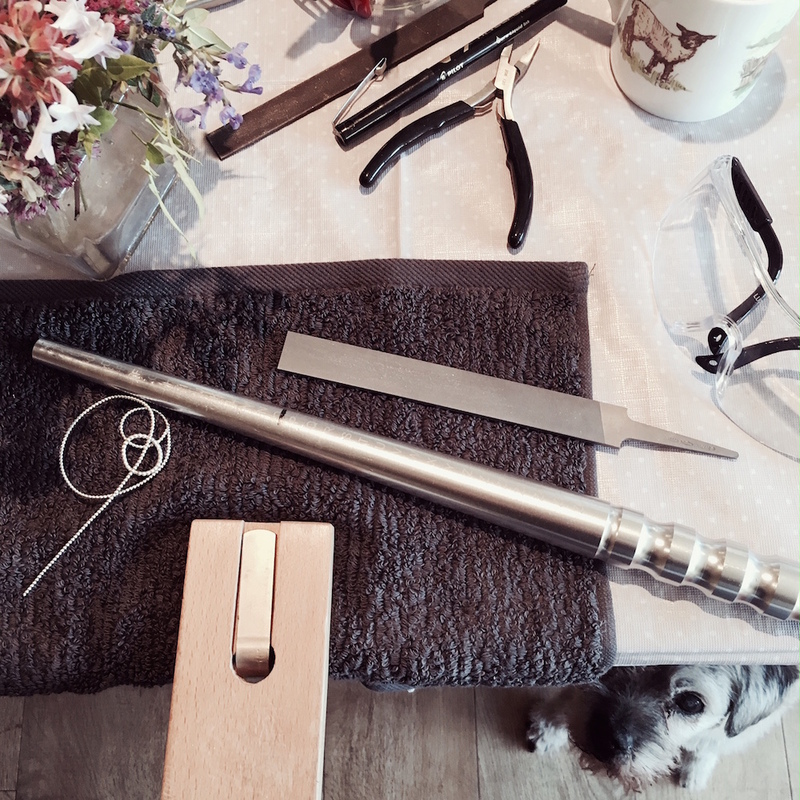 Fiona provides everything needed to create jewellery to a high-standard and, don’t worry, furniture (and humans) are fully protected — note the science lab glasses, last worn in GCSE chemistry circa 1996 and the reason why there aren’t many selfies in this post. 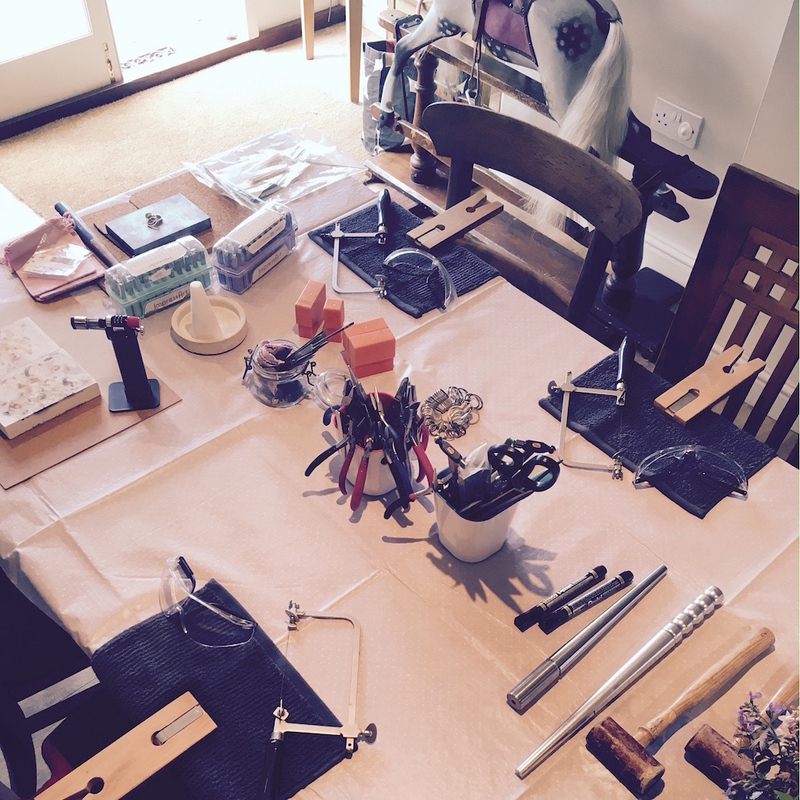 You can choose between a ring, necklace, earring or bracelet making workshop, we opted for the former. 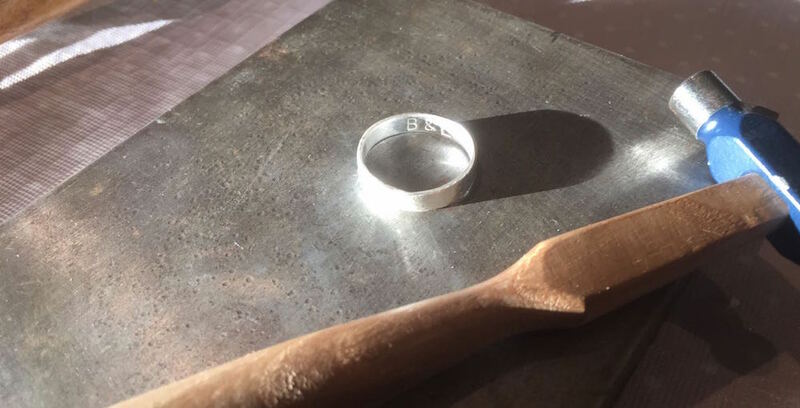 We made two rings, both measured to fit our fingers exactly: a ‘bubble’ ring, which you can see me measuring here, and a silver band. 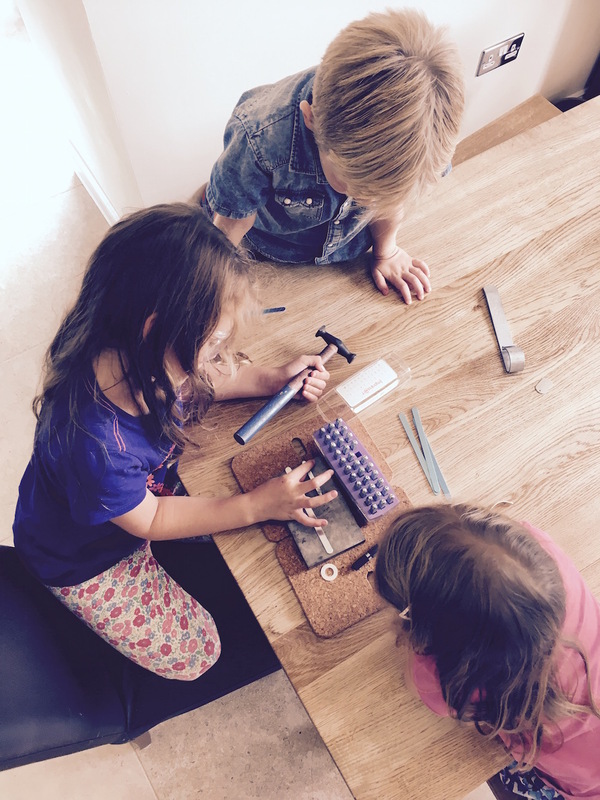 Sawing, twisting, hammering and soldering, it was all done by us with Fiona stepping in when needed. 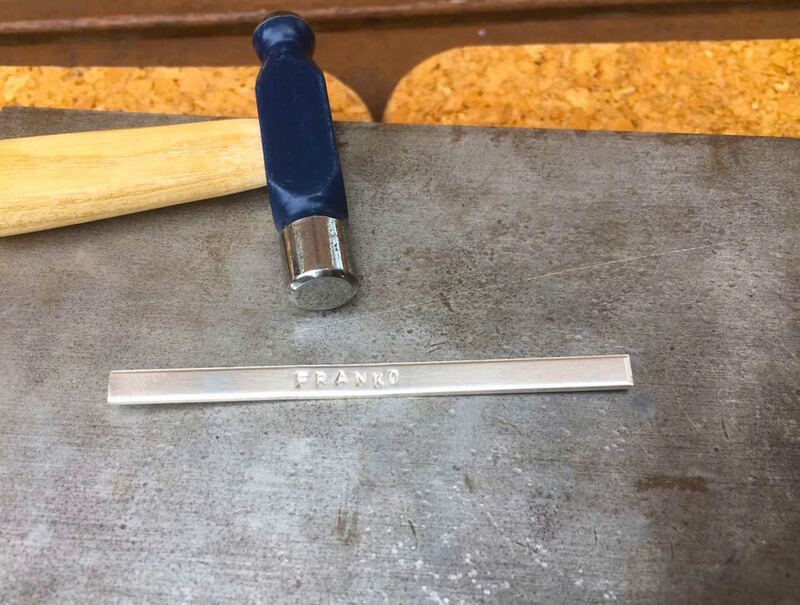 You can emboss the silver band on the inside: my mum punched her nickname for my Stepdad, ‘Franko’. I love the higgledy-handmade feel. She was a little vigorous with the hammering though, so whether this was a purely romantic gesture remains unclear. As Fiona pointed out, naming jewellery like this is vital meaning that pieces can tell their story for years, even generations, to come. The white conical substance below is called borax and is part of the traditional soldering method. 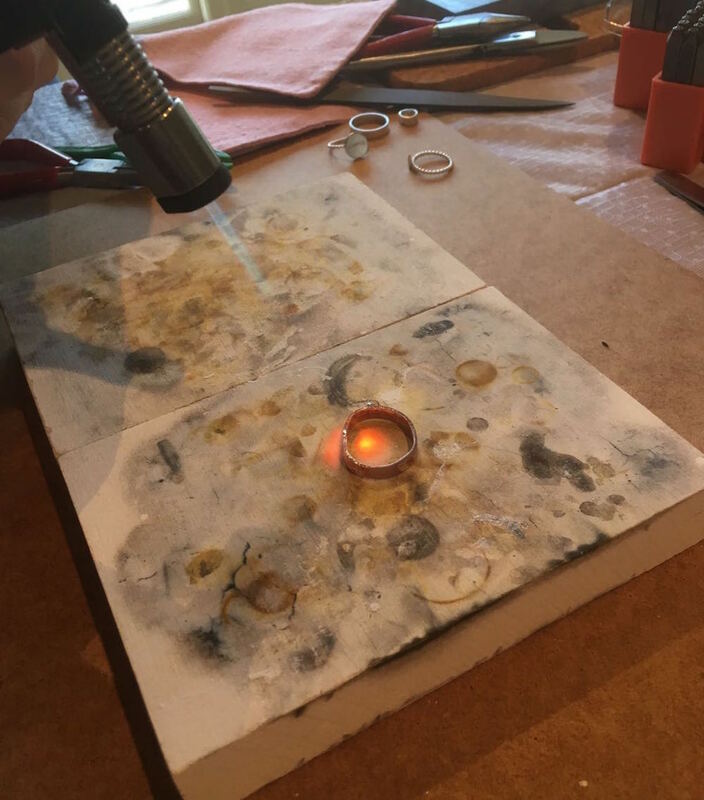 It’s ground with water, then the resulting liquid is applied to the join in the ring which is then soldered together with a blow-torch. After a dip in the ‘pickle’ (see, I’ve been swatting up on my jewellery jargon) to cool and finish, the rings were ready. Here’s Frank admiring my mum’s handy-work. Impressed? Bemused? Hard to tell. Here we are, the finished product modelled by yours truly. 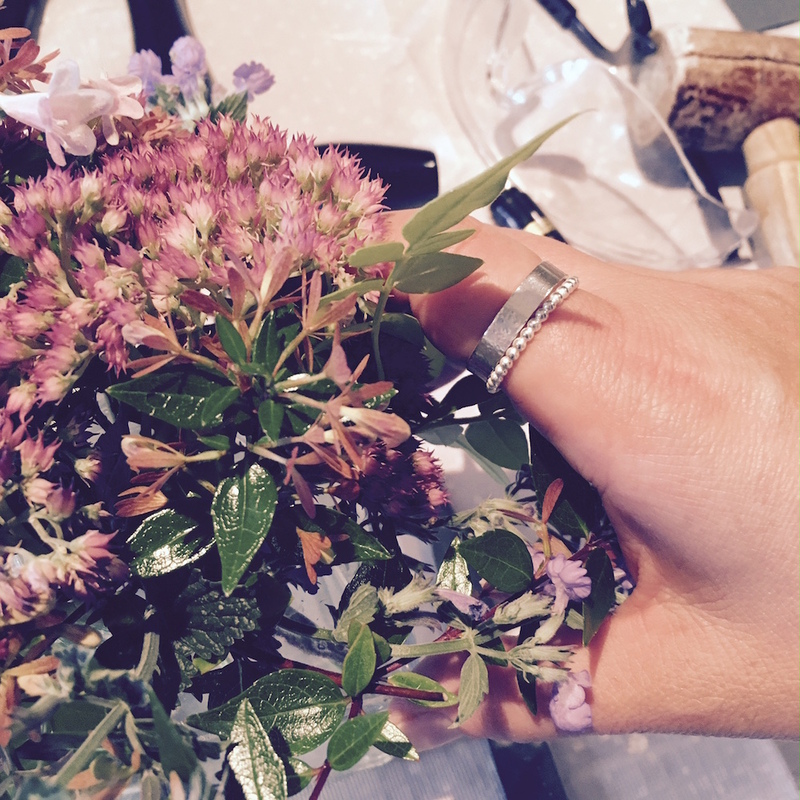 You can stack the rings or wear them separately and they come packaged in a pink cloth bag so very gift friendly. 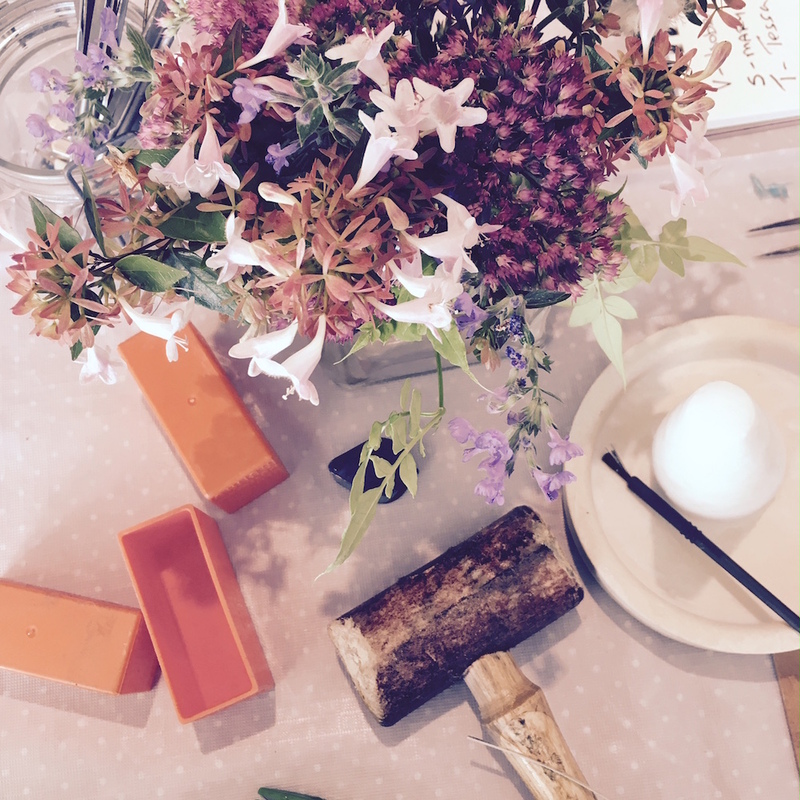 Fiona runs occasional workshops at Andover’s Muddy Award winning interiors store, La Di Da (keep an eye on Muddy Hants’ What’s On for details or sign up to her newsletter). 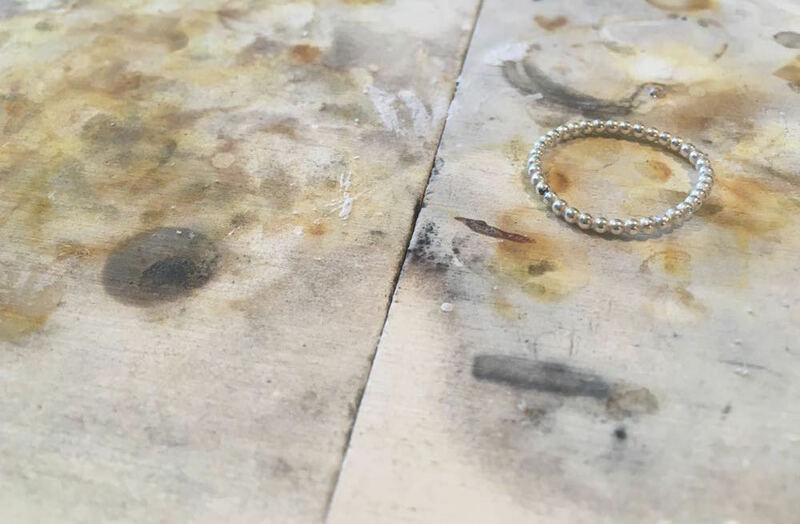 A Jewellery Moves workshop would also be a special way to mark impending milestones: births, weddings, big birthdays — an excuse to spend time together and create something to mark the occasion for generations to come. Fiona also helps children create bespoke gifts for parents, grandparents or anyone that they’re close to. 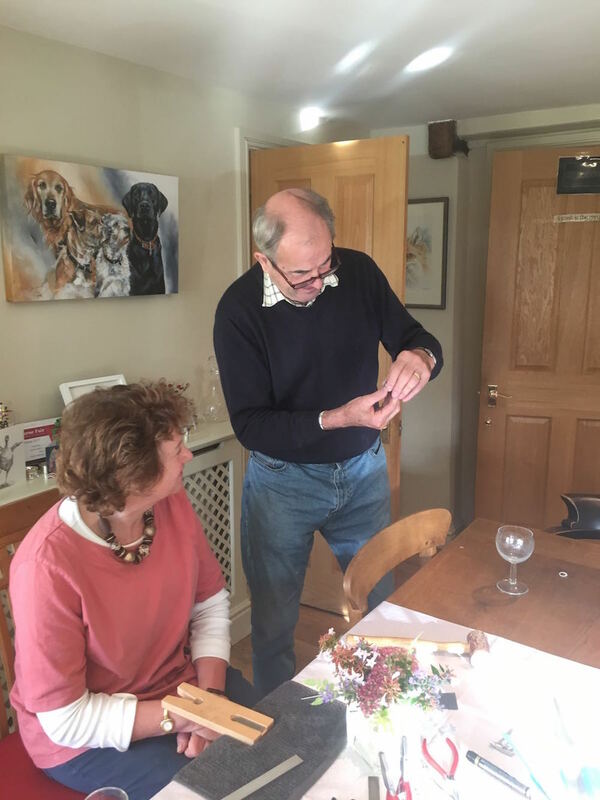 My mum’s eyes lit up at the prospect of this, her seventieth isn’t far off, AND finally Fi leads jewellery making birthday parties for small groups of older children (8+).